The cradle of civilization, Mesopotamia, was the birthplace of indispensable inventions and discoveries. It was here that agriculture, a major historical invention, began. Irrigation and farming were convenient in this area because of the fertile land and affluent terrain between the Euphrates and Tigris rivers. The invention of agriculture made it possible for humans to stay in the same place for a longer period of time without depending on hunting. The earliest form of writing was invented in Mesopotamia. 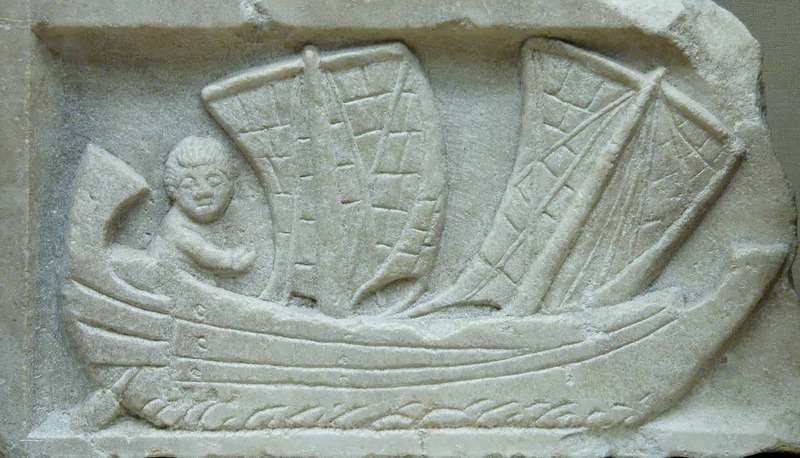 The first means of transportation, like the chariot and the sailboat, were invented in Mesopotamia. Most of the innovative ideas that we take it for granted today were invented or discovered in Mesopotamia. Herewith I will present the top 11 Inventions and discoveries of Ancient Mesopotamia. 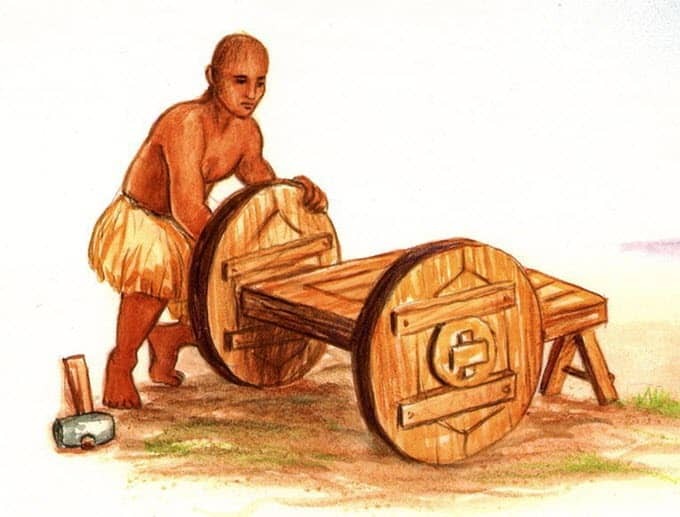 The first wheel wasn’t used for transportation. The wheel was invented to serve as porter’s wheels. 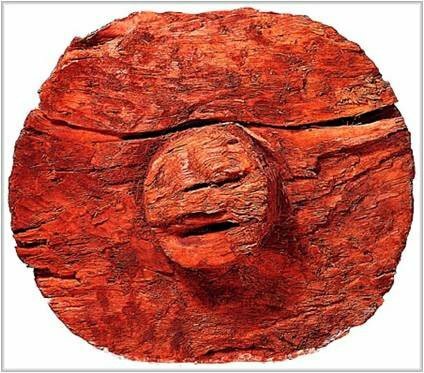 The first wheel was believed to exist around 3,500 BC in Mesopotamia. Even though the wheel is believed to have first existed in Ancient Mesopotamia, the oldest wheel named “Ljubljana Marshes Wheel” was discovered in Ljubljana, the capital of Slovenia in 2002, and dates 5,150 years back. illing. It acted as the luxurious mode of transportation for rich people. The invention of the chariot and other important inventions in history was based on the invention of the wheel. Humans learned to domesticate horses, bulls, and other animals that were useful for them. The chariot was not a sudden invention, but the gradual improvement of the earliest carriage. The chariot was the first concept of personal transportation. It had been used for years as a key technology for warfare, for most of the ancient sports, and as a means of transportation. The structure of earliest chariot was made of light wood with a bentwood rim. The first chariot appeared around 3200 BC in Mesopotamia. This form of chariot was used in most every civilization until motorized transportation came into existence. Chariots were also used as a luxurious means of transportation for the Royal families and higher class people. Transportation by land was hectic and took an enormous amount of time. Sumerians realized that transportation via sea would be a lot easier and more convenient.The first boat was invented and used as transportation in rivers and needed to be navigated by humans. The sailboat was invented with a primitive design, which ultimately helped the people with prosperous trade and commerce. It was initially used to cross the Tigris and Euphrates rivers for fishing and to explore other areas. The primitive sailboat was square in shape and the sail was made of cloth. The direction of the sailboat couldn’t be changed. If the wind didn’t blow in the direction they wanted to go, they had to wait for a change the wind’s direction in their favor. Humans learned to domesticate animals and use them in their daily life to make their tasks easier. In Mesopotamia, man first harnessed the ox and developed the first plow called ARD. The earliest plow was made of wooden material and was heavy. The major problem with the plow was that the dirt would stick on the plow and needed to be removed manually. It also did not work in dense grass. The invention of the plow in Mesopotamia helped the hunter-gatherer groups to stay in the same place and to depend on agriculture for food, rather than hunting. 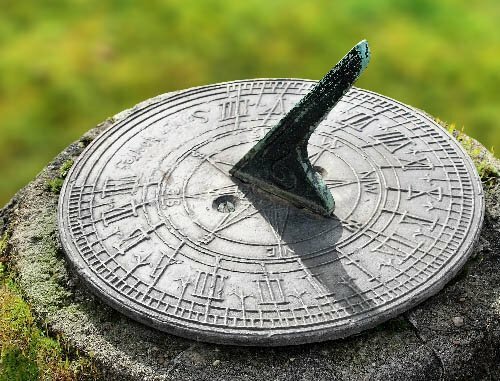 Mesopotamians developed the concept of time, dividing time units into 60 parts, which eventually lead to 60-second minutes, and 60-minute hours. The concept of Astrology was developed during the Sumerian period, where even everyday incidents had a spiritual meaning. It was believed that every good and bad thing happened for a reason. The astrologers observed the momentary location of the planets and advised people with high social or political positions. Astronomical mythology, like the concept of a constellation of Capricorn, Leo, and Sagittarius, was handed to Greeks by Sumerians and Babylonians and is still in use today. The constellations were also used in day-to-day activities. They were heavily used to mark the seasons for harvesting or sowing crops. They also mapped the movement of the sky, the sun, stars, and the moon, and to predict celestial events, like an eclipse. The oldest map was discovered in Babylonia around 2300 B.C. 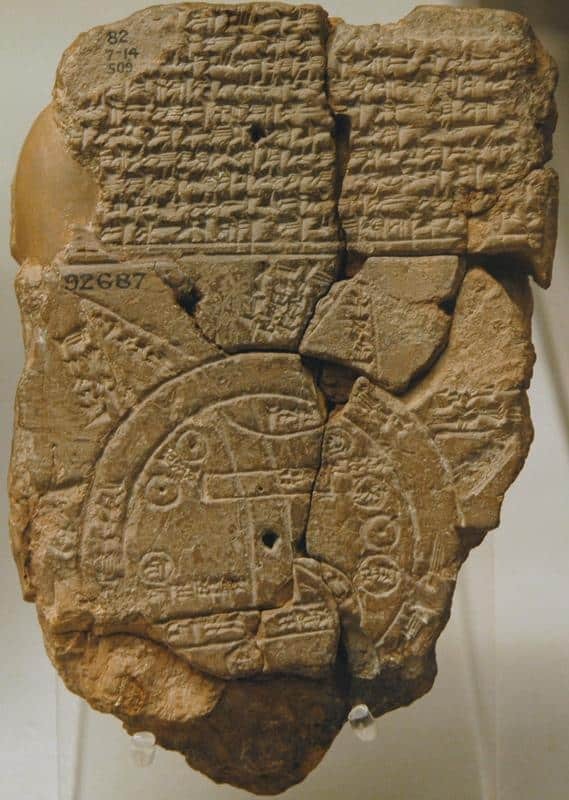 The Ancient Cartography that was used in Babylonia was a simple sketch on clay tablets. The clay map discovered in Mesopotamia illustrates the Akkadian region of Mesopotamia (present-day northern Iraq). It covered a small area and was mostly used as a city map, a military campaign, a hunting ground map, and a trade route. Even though the map was invented in Mesopotamia, Greek and Roman cartography became more advanced. The concept of a spherical Earth developed by Greek Philosophers in 350 BC became a concept for geographers to develop the map. When civilization started to flourish, people began to trade items, and they needed an accurate system to count the goods that they gave and received. Sumerians were the first people on earth to develop the concept of counting. They also developed the sexagesimal, or base 60. 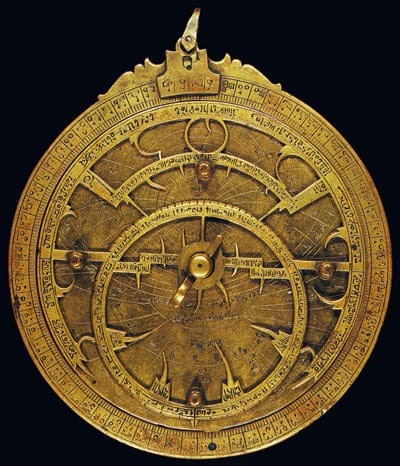 The sexagesimal helped to develop concepts like the 360-degree circle and the 12-month year. They used 12 knuckles to count on one hand, and another five fingers on the other hand. The Babylonians used base 6 (our modern system uses base 10), where digits on the left column represent large values. The concept of zero was developed by the Babylonians. People understood the value of having nothing, but the concept of numerical zero wasn’t invented before then. Many scholars believed that the concept of zero was developed by Babylonian and followed by various civilizations throughout the world in their own way. However, some argue it was originally invented in India. Often known as the cradle of civilization, Mesopotamian developed the concept of urbanization. For the first time in a history, humans started to settle in a specific place. The invention of agriculture made it possible to feed more people and animals living in the same place. People learned to trade, and the concept of taxes emerged. The largest settlement ever in the history of mankind started to build using monumental mud-brick building around 3,200 BC. It was surrounded by huge walls, built by King Gilgamesh. 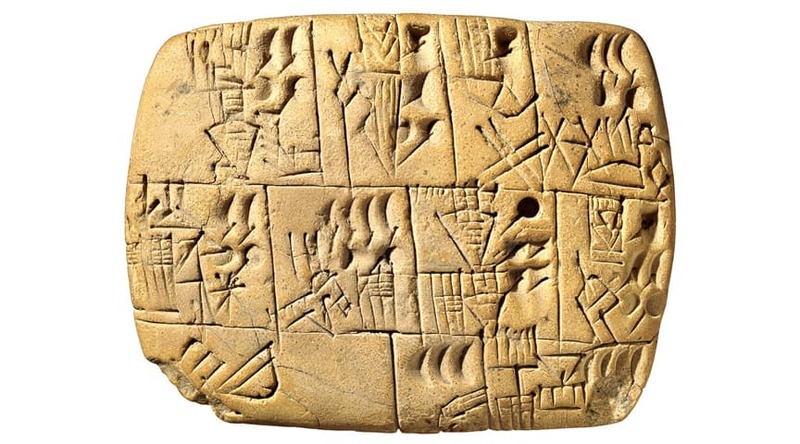 The Sumerians developed the first form of writing called “Cuneiform” to maintain business records. It was mostly used in trade, where the merchant recorded the information regarding a trade, for example, the number of grains traded. Mesopotamians used writing to record daily events, like trade and astronomy. Cuneiform evolved as a simple pictograph. For instance, the pictograph for a horse might be a small image of a horse. The writer had to drag the tip of a stylus in the clay to create a shape. It was hard to remember every character. It would take 12 years for a person to learn to write in cuneiform. The symbols were reduced to 600 words by 2900 B.C. Scribes (specialized people that were hired to write) eventually changed the writing from a drawing image to stamp or imprint writing with a use of a reed stylus with a wedge-shaped tip. Cuneiform script was used by Assyrians, Elamites, Hittites, Babylonians, and Akkadians for about 3,000 years. 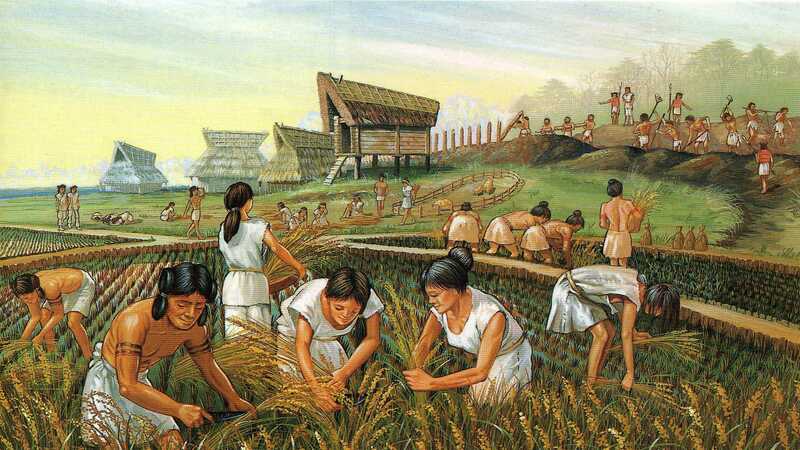 Farmers used to cultivate wheat, barley, cucumbers, and other different foods and vegetables. They used stone hoes to plow the ground before the invention of the plow. 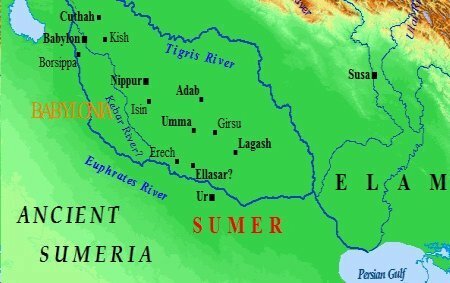 The Tigris and the Euphrates rivers that surround Mesopotamia made irrigation and farming a lot easier and more convenient. Mesopotamians learned to control the flow of water from the river and used it for irrigating crops. During the main growing season, the flow of water was properly regulated. Each farmer was allowed a certain amount of water, which was diverted from the canal into an irrigation ditch. Most of the inventions and discoveries by Ancient Mesopotamians became more advanced in later civilization. However, Mesopotamian inventions led to very basic things that were needed for humans to settle in a group. Basic things like writing, agriculture, and urban civilization are the gifts of Ancient Mesopotamia. What the flop are you talking about? This is a great website with tons of fantastic information. Which website are YOU looking at? If yll think this was the oldest then who built the Aztec lines in Peru and the place named Puma Punku, The sphinx was not built by the Egyptians, where did the knowledge to build the pyramids come from? The Egyptians were founded around 3100 BC, the Aztec lines or Nazca Lines in Peru were created c. 500 BCE to 500 CE and Puma Punku was built around 536 CE or later. 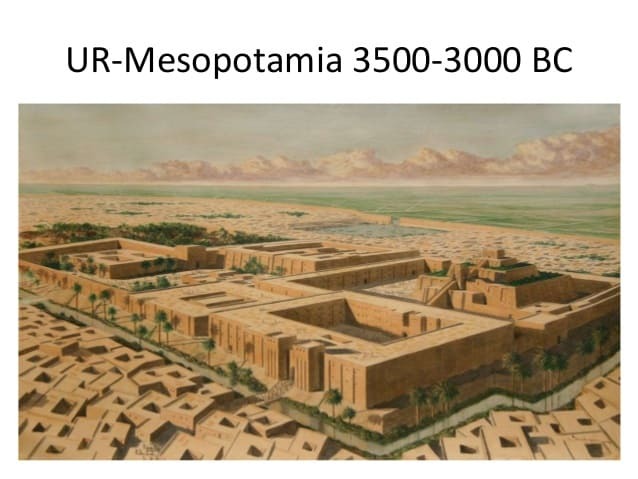 The Mesopotamians (if we’re including the Sumerians) were founded in the 6th Millennium BCE, at least 3000 years before the Egyptians, and 5000 years before the Nazca Lines and the Puma Punku. For your latter question, I’ll let you google it and discover for yourself. If you’re interested on Mesopotamia, I recommend reading “Handbook to Life in Ancient Mesopotamia” by Stephen Bertman or some of Dr Samuel Kramer’s published works. Can you please put what the inventions are being used for today? I have to do this poster, and it says you have to put what is it used for today, or what is used in its place. why do people have to cuss all the time just to make a point?! i mean, yeah it helps, but society is so messed up!!! This was a very helpful artical, but I just cant find where it mentions the pulley system. I couldn’t find irrigation in here. Can you add it please?